This year’s NFL Saturday Night Party will be hosted at Orlando’s hottest new restaurant, The Edison in Disney Springs. An “Industrial Gothic” nighttime destination, this unique venue celebrates an era of invention and imagination – the blending of science, art and industry – and is reminiscent of its sister location in Los Angeles. On Location weekend guests will enjoy a select premium menu of signature food crafted by Executive Chef Russell Saito, while sipping on artisanal hand crafted cocktails as they journey through the rich, whimsical ambiance of the Edison. Featuring unique and intimate spaces such as The Lab, Telegraph Lounge, the Tesla Lounge, Radio Room and Waterfront Patio, guests will have an opportunity to experience one of the world’s most unique and visionary spaces. This 3-hour exclusive party will feature live entertainment including a DJ and band, as well as appearances by NFL Alumni and cheerleaders in an unparalleled, world-class experience. For the second consecutive year, the Pro Bowl will be played at Camping World Stadium in Orlando on January 28, 2018. With Pro Bowl Ticket Packages now available for purchase, On Location has created an exclusive and unforgettable experience for guests, offering VIP treatment at the Official NFL Pro Bowl Saturday Night Party. 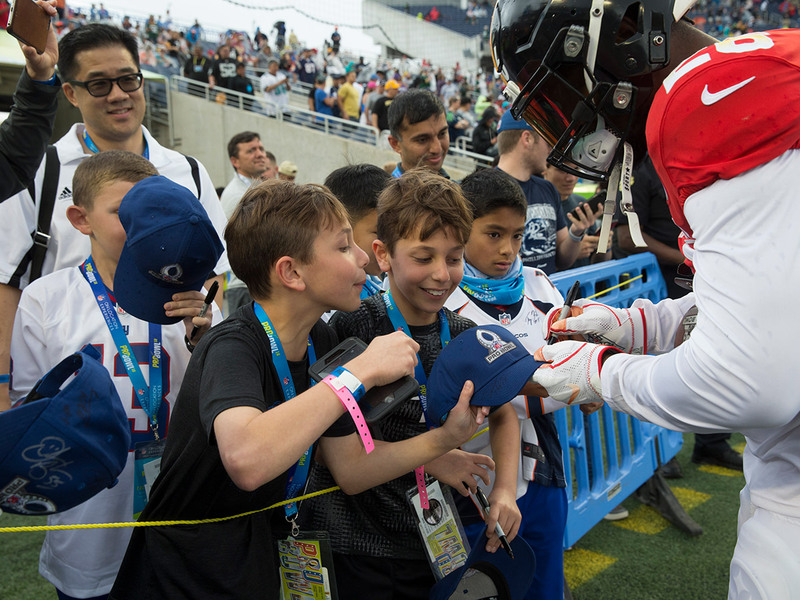 Plan your next once in a lifetime experience today by purchasing one of our Official Pro Bowl Gameday and Weekend Packages now!